Police bust fake Aadhaar racket in Ahmedabad, arrest three - Aadhaar FAIL! AHMEDABAD: In another instance of a fake Aadhaar creation racket, police here arrested three people who were making Aadhaar cards for people who did not have any identity documents, and were charging Rs 600 per card against the government norm of Rs 30. The Times of India, quoting the Deputy Commissioner of Police Himkar Singh, reports that 100 Aadhaar cards and 36 Voter ID cards were discovered, along with data for over a 1,000 persons. The modus operandi of the racketeers apparently involved submitting the biometrics of the applicants in combination with demographic details of other persons, which helped beat the deduplication mechanism. The police are scrutinizing the data to verify each holder, especially in order to determine if any foreign nationals have managed to procure an Aadhaar. This racket yet again highlights the critical questions surrounding Aadhaar which were revealed in the investigation of the Kanpur fake Aadhaar scam. In that case, the UIDAI admitted that it had no way of telling which Aadhaar numbers were genuine and which were fraudulently created. Further, is it the role of the police to audit the demographic and biometric details associated with Aadhaar, that too for free, when the UIDAI takes no responsibility for the same? 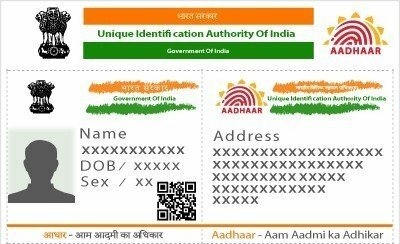 How secure is a system such as Aadhaar when there is no way of telling how many Aadhaar numbers and connected details are genuine apart from a manual verification every time such a racket is uncovered? Also, what of those people whose demographic details have been stolen to create new Aadhaars? Will their Aadhaars now be deactivated because the details have been duplicated? The one agency we cannot expect answers from – the UIDAI. Next post: Supreme Court asks: How does Aadhaar prevent money laundering?